Struggling with drug addiction is no reason to feel ashamed. You’re not alone – the Substance Abuse and Mental Health Services Administration (SAMHSA) found that in 2012, 8 million people needed treatment for a drug abuse problem. Unfortunately, only 1.5 million of them received treatment at a specialized facility. Who Gets Drug Abuse Treatment? The Diagnostic and Statistical Manual of Mental Disorders, Fifth Edition (DSM-5) lists substance use disorder as a mental illness, and mental illnesses are treatable but not curable. Drug abuse treatment isn’t just about going into a facility to detox or staying at a residential program. Treatment services come in a variety of options, including those available while you’re still living at home. Depending on what type of drug you’re struggling with, treatment might differ, but most programs focus on the same core concepts: getting to the root of why you abuse drugs and helping you build new thought patterns and behavioral strategies to stay drug-free in the future. Most programs also tailor treatment to address each patient’s specific needs, whether they are physical, emotional or social. According to the National Institute on Drug Abuse (NIDA), substance abuse disorder is a chronic disease, just like diabetes, asthma, or heart disease, with similar rates of relapse. As with these diseases, addiction can be managed successfully with ongoing treatment. Lapses in drug abstinence don’t mean that you’ve failed; they just mean that you need more treatment. SAMHSA found in 2011 that 44 percent of people who entered state-reporting drug treatment programs completed the treatment program, while 26 percent dropped out (most of the rest transferred to other treatment programs or were incarcerated). But staying clean is a constant battle – NIDA reports that 40 to 60 percent of people struggling with addiction will relapse after the first time they complete treatment or get clean. Each person’s drug addiction presents differently and requires an approach tailored to meet your particular needs. You will want to seek different treatment types depending on the severity of your addiction, the type of drug you use, how impaired your daily functioning has gotten, and any other health issues you might have developed. Before treatment comes detoxification, commonly known as detox. Depending on the drug, detox can range from uncomfortable to life-threatening. For example, withdrawal from opiate drugs like heroin or prescription painkillers can cause symptoms like nausea, vomiting, chills, anxiety, insomnia and diarrhea. Withdrawal from alcohol can cause tremors, hallucinations and dangerous seizures. To be safe, detox is best done in a facility with round-the-clock medical care available. Another step is performing an assessment to find out if you have any co-occurring physical or mental illnesses. It’s harder to stay clean if your body isn’t healthy, and mental illnesses can directly fuel the cycle of addiction. An important part of treatment includes getting any other medical care that you may need. For patients who need 24-hour care or struggle with the responsibilities of daily living, inpatient treatment is the place to start. Inpatient or residential programs offer living accommodations for patients for the duration of their treatment. While most programs have medical staff, the experience rarely resembles a hospital stay. Instead, programs often offer peaceful and homelike settings while patients go through many hours a day of focused therapy. One model of residential treatment is the therapeutic community, where patients stay for six to 12 months. In their new environment, patients receive structured therapy and engage in activities that prompt them to examine the maladaptive beliefs that drive destructive behaviors. They also develop new ways to interact with and reconcile differences with others.For patients at a higher level of health and functioning, outpatient programs can deliver similar therapies. Patients live at home but come in to the treatment clinic for varying levels of therapy, ranging from several hours a day to a few times per month. Outpatient therapy offers the flexibility to work with a patient’s schedule, especially if he or she is holding down a job or caring for a family. Most intensive treatment programs use a combination of group and individual therapy. Group therapy allows patients to build up support among a group of sympathetic peers who are going through similar struggles. Individual therapy gives the patient one-on-one time with a therapist to dig into the patient’s personal history and reasons for drug use. Pharmacotherapy is effective for addiction to opiates, says NIDA. Methadone and buprenorphine can “replace” opiates to block withdrawal symptoms and reduce cravings. Naltrexone blocks opiates from activating the brain, causing opiates to have no effects. Cognitive behavioral therapy (CBT) is also effective for treating drug abuse, according to NIDA. CBT teaches skills for regulating thought patterns and behaviors that can spiral into drug use. Patients learn to examine the effects of drug use in their lives, how to recognize cravings as they develop and cope with them, how to recognize when a situation might lead to drug use, and how to exit the situation. Motivational incentives involve giving patients concrete incentives to abstain from using drugs, such as prize vouchers or cash in exchange for attending therapy or passing drug tests. NIDA confirms that this can also be an effective treatment method. Motivational enhancement therapy (MET) involves principles of motivational interviewing as the therapist collaborates with the patient to locate and strengthen the patient’s motivations to become drug-free. NIDA reports that “MET seems to be more effective for engaging drug abusers in treatment than for producing changes in drug use.” However, a study published in Advances in Psychiatric Treatment found that MET resulted in lower rates of drug use, higher rates of treatment compliance, and lower arrest rates. Family therapy brings in a partner, parent, or other close family member to engage the patient in therapy. NIDA describes how this gives patients a chance to practice their new behavioral skills at home, with the family member providing support and rewards. Complementary therapies can include meditation, sports, martial arts, yoga, art, music, and other varieties. In particular, NIDA recommends exercise as a way to help reduce cravings and stress. Aftercare and relapse prevention involve working closely with patients to develop a plan for how to resist future drug use and how to rebuild their lives. Topics covered will include home environment, work and family, as well as plans for ongoing psychiatric treatment or medication. Do you need detox services? Are you physically dependent on a drug, and do you experience withdrawal symptoms when you try to quit? Do you need inpatient treatment? Do you have a medical condition that requires ongoing monitoring? Are you struggling with living on your own due to your addiction? Do you have intense cravings that will drive you to use drugs if you’re left unsupervised? Why do you use drugs? For some people, the motivation to use comes from the people around them. For others, the drive is internal, such as drug use to escape a past trauma. This will influence what type of therapy you’ll respond to best. Is there someone available to support you? Family, community and group therapies all have better outcomes than going it alone. If there’s someone who can work with you through this difficult time, talk to them now. What works for your schedule? If you’re holding a job, going to school, caring for a family, or have other responsibilities, you’ll need treatment that’s flexible enough to accommodate the rest of your life. What does your insurance cover? Before beginning treatment, find out if your insurance will cover it, and if not, make sure you know what its rates are. Many centers offer sliding scale options based on financial need. Having a loved one addicted to drugs can be incredibly taxing. Getting them into treatment might seem futile, but don’t give up. It’s important to understand how gripping drug addiction can be and recall that many people fail the first time they try to get help. Remember, addiction is a mental illness; willpower alone won’t make it go away. Make sure your loved one knows you don’t judge them and that you’re there for them. One possible time to stage an intervention is when your loved one has recently suffered a major upheaval in their life, such as the loss of a job or a breakup. This may serve as a wakeup call that it’s time for a change. However, you also want to be careful not to make them feel like they’re being attacked when they’re at a low point. When you approach your loved one, make sure that you’re ready. Take the time to process any of your own anxieties about the confrontation so that you aren’t bringing your own emotions into the conversation. Have a firm plan that you and any others involved have discussed beforehand. Figure out what each person will say and what consequences each person will impose if your loved one won’t agree to get help. Look into drug treatment centers and have one picked out that your loved one can attend. Get in touch with the center to ensure that there is room for your loved one to join. Approach your loved one in a positive, non-confrontational manner, rather than a judgmental one. Remind them that you are trying to look out for them. Offer examples of how their drug use has caused problems for them and for others. Avoid making hurtful or blaming comments. If your loved one still refuses to go to treatment, then it’s time to take a “tough love” approach. Follow through on the consequences that you discussed, such as cutting off financial support. Only by taking a firm line and refusing to be manipulated can you make it clear that you’re serious about the problem. 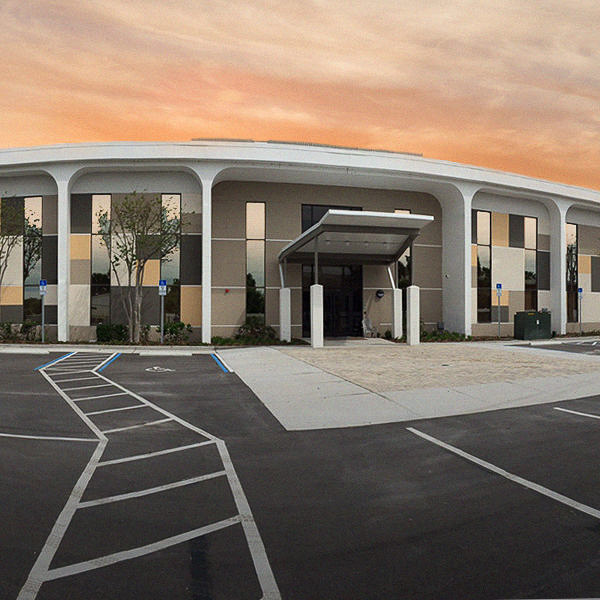 At Orlando Recovery Center, we offer a free assessment. 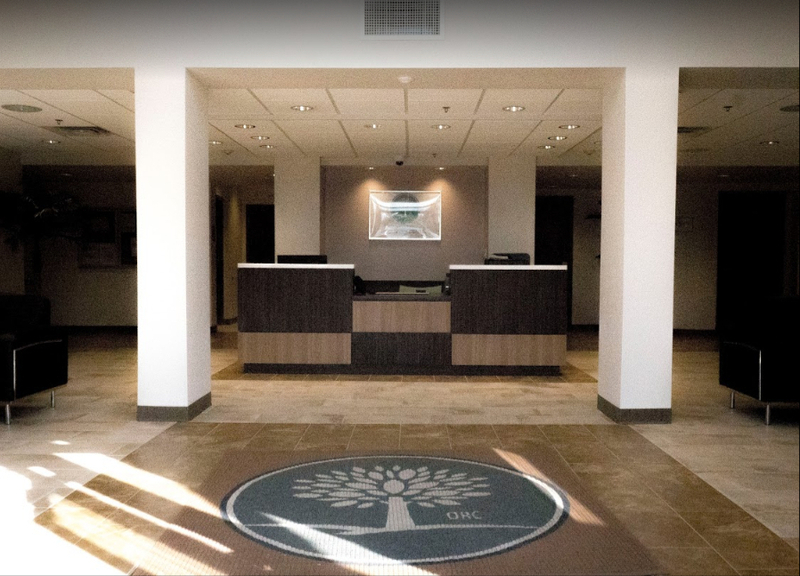 In a phone interview, our staff member will gather the necessary information about you or your loved one to determine if our treatment center is right for your situation. In this call, we will inquire about substance use, mental and physical health, family, environment, and a myriad of other factors to help us determine what type of treatment will be best for you. If we don’t feel like our center would be the ideal fit for you, we will do our best to refer you to an appropriate program.We want you to get the help you need. Call today to learn more.